Skintifique has developed the world’s first products that actively protect skin from Nickel. Scientifically proven benefits! Prevents metals (Nickel, Chromium, Cobalt…) from penetrating the epidermis while letting the skin breathe. Efficient for up to 14 hours. Apply generously and as often as necessary the cream on skin that risks being exposed to irritant metals. A very safe and pure moisturizer. It hydrates and protects skin from environmental stressors: metals (Nickel…), pollution, dryness. Apply extensively and massage the cream until complete penetration. Use as frequently as needed. An exceptionally pure micellar water which gently cleanses, removes makeup, and purifies skin. Efficiently removes impurities, excess oil, traces of pollution and metals (Nickel…) from skin, leaving it refreshed. Use in the morning and evening on a cotton pad, gently cleanse the skin. 3 products to protect, moisturize and cleanse skin allergic to metals: this pack contains 3 of Skintifique’s star products, that work together to protect, moisturize and cleanse skin allergic to metals (Nickel, Chromium, Cobalt…). The first cream in the world to protect the skin from irritant metals (Nickel, Chromium, Cobalt…) for up to 14h.Apply generously and as often as necessary the cream on skin that risks being exposed to irritant metals: earlobes, wrist, belly, hands… The cream can also be applied to the irritating object. The Protective Cream HPS must be reapplied after each washing of the zone (for example after washing your hands) because it removes the protection. At the end of the day, or after removing the irritating object, cleanse the skin, ideally with the Cleanser P.
A very pure moisturizing body lotion which hydrates and protects from frequent aggressions which can irritate the skin (heavy metals, pollution…). Apply generously on dry skin and massage until complete penetration of the product. Use daily and as frequently as necessary. An extremely pure, soft and efficient micellar water which cleanses, removes makeup, traces of pollution and metals. Use in the morning and the evening with a cotton pad. Rinsing is optional. All the products in the Nickel allergy Pack are: paraben free – metal free (no Nickel, Chromium or Cobalt…) – fragrance free – EDTA-free – BPA free (no phthalates, bisphenol, non-toxic plastic) – sulfates free (no SLS & SLES) – gluten free – silicone free (no dimethicone) – alcohol free – mineral oil free (petroleum free) – lanolin free. 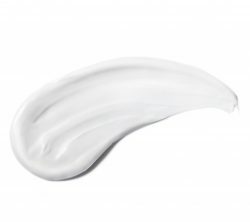 More than 78% of natural ingredients: Cleanser P (91.2%), Protective Cream HPS (79.3%), Moisturizing Lotion HP (78.8%). *35 patients with dyshidrotic eczema (dermatitis) associated with nickel allergy: After 2 weeks of medical treatment, some patients used either Skintifique products or standard products for 2 months. The improvement or deterioration of their condition has been evaluated by the doctors conducting the clinical study. I love these products! Iam allergic to Nickel and I used to develop a skin reaction (rash or bumps) after touching metal containing items such as my keys, costumes jewelry etc…These 3 products are complementary. I use the Moisturizing Lotion HP on the morning to moisturize my skin. Non-greasy and quickly absorbed into the skin, this lotion is great for a daily moisturizing. At night, I use my Cleanser P to remove my makeup and purify my skin. I use the Protective Cream to wear costume earrings. How to treat Nickel allergy ?